The move of the FlightGear development repositories from Gitorious to SourceForge is now complete. We had to move our repositories, due to Gitorious shutting down end of May (see this statement for details). A historical read-only record will remain at Gitorious.org, as well as other public locations. In addition, hooks have been added so that every commit to either the FlightGear, SimGear or FGData repositories will (hopefully) send a message to the flightgear-commitlogs mailing list. Tim made a commit to SimGear that fixes compilation with current OSG sources. Unfortunately, FlightGear does not actually work with this OSG due to a bug in the mesh optimizer. If you want to use current OSG, check the osg-submissions mailing list for a fix. Torsten has added the relevant documentation for using a state machine in FlightGear to Autopilot configuration reference#State Machine <state-machine>. He also fixed a related bug in SimGear, so make sure you have pulled up to this patch. If someone with a better wiki-fu can beautify the article addition, that would be great. 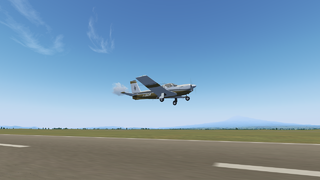 Development and test of spaceflight in FlightGear continues. Based on information in the official crew manual, the Space Shuttle has received various digital autopilot (DAP) modes for maneuvering in orbit and an improved control logic for thrust vectoring during ascent. A guidance computer for re-entry has been added to aid trajectory management during this rather challenging part of the mission. The spacecraft has now been tested for a successful de-orbit maneuver aimed at a pre-selected landing site. Work on simulating the aerodynamic, thermal and structural limits of the orbiter, as well as damage, is currently in progress. 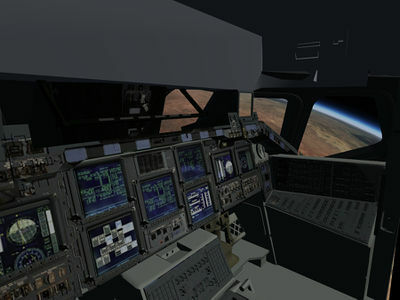 The addition of a 3D cockpit has also begun; currently, most instruments are simply static textures, but several displays should be functional soon. 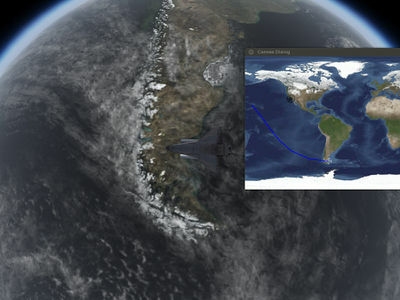 Other developments are more generally useful beyond the Shuttle, such as a ground track map and improvements to the Earthview rendering engine using procedural overlay texturing, making textures appear at higher resolution than they actually are. Test flights using a Nasal-controlled object on an analytically-computed Kepler orbiter suggest that docking to an AI space station or interactions with satellites should in fact be quite possible to implement. 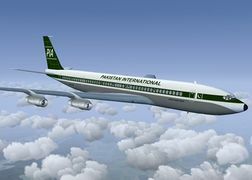 Modelers interested in realistic spaceflight are very welcome to come aboard and help taking FlightGear to the limits. 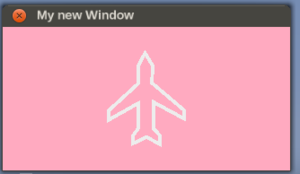 Note The first flag sets a custom property created during his tests; it isn't available in normal FlightGear. These flags increased his frame rate from 30 fps to 60 fps (when drawing nothing). You can read the full report at http://chateau-logic.com/content/deferred-rendering-rembrandt-performance. A small patch has enabled Canvas to display transparency in an SVG file. Currently, there is only support for the fill-opacity and stroke-opacity properties, but there is a small bug if the value is 0.0. Alternatively, those who are able to patch FGData themselves, can download mp-hot-fgdata.patch, which adds a checkbox to the Multiplayer Settings dialog to enable or disable the collision detection. 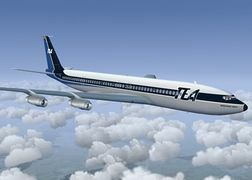 Seven new liveries are now available for Boeing 707. 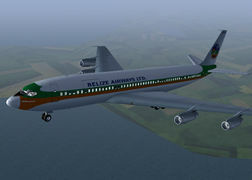 Belize Airways Ltd. (Nick Reimer, others by sanhozay). See this forum post for more information. 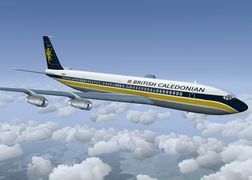 You can download the liveries here. This month, various airports in Belgium are being populated with 3D buildings and shared models. The source for most of the models is the Belgium Custom Scenery Project by David van Mosselbeen. 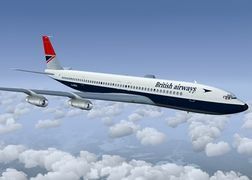 A new blog by gsagostinho focused on sharing screenshots of short flights, particularly with GA aircraft. 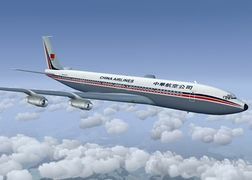 The link is http://fgflights.blogspot.cz/?view=sidebar. The FGCom server was previously provided through generous donation of and maintained by a contributor who has since quietly left the project. A new maintainer has now appeared and the server is again available. I'd like to set up a dedicated web site for those of us with any disability to have ways to get around FlightGear. I was also thinking even maybe we could find some developers who are disabled who would be interested in helping us set up FlightGear for all disabilities? I think we can do some of this on SourceForge. 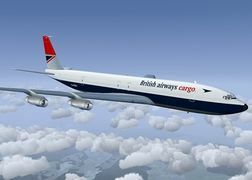 If we have some developers here on the FlightGear list who would like to help if I could get names that would be helpful so then I have a list. I would be happy to help develop some as well. I am unfortunately not a Java programmer but can do html type stuff and the Nasal stuff doesn't look to terribly bad to learn. I’d also like to see if we can make packs for speech like in our turns so we know what direction one is going as they turn. There are many more things. 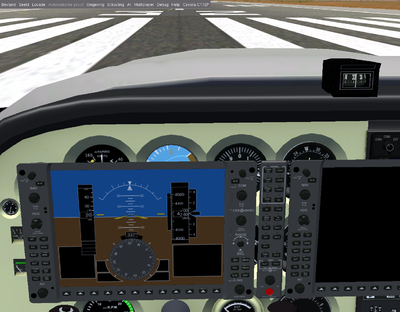 I have to be honest FlightGear is a platform for me to become familiar with what I will also need for actual flight. I plan to attack flight lessons myself and FG gives me a good foundation to handle some of these concerns for a bigger project I may have later. I’d like to personally thank everyone who answers and would be willing to help. — Scott Berry (2015-04-06). Re: [Flightgear-devel] New fgcom server needed. ↑ Mathias Fröhlich (April 16, 2015). [Flightgear-devel] OpenRTI gitorious git repository deleted. ↑ Tim Moore (2015-04-19). 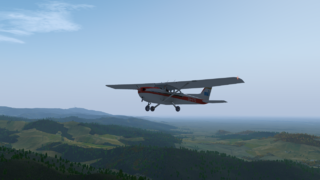 [Flightgear-devel] OSG 3.3.8 heads up. ↑ Torsten Dreyer (2015-04-21). Re: [Flightgear-devel] Automated Checklist Execution. ↑ Richard Harrison (March 29, 2015). [Flightgear-devel] Deferred rendering (Rembrandt) performance. ↑ Curtis Olson (2015-04-10). 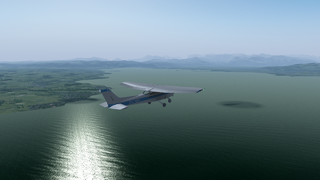 FlightGear will be one of SourceForge's projects of the week. This page was last modified on 16 November 2016, at 11:39.